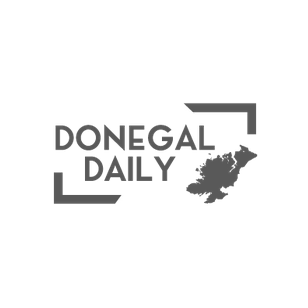 A DERRY man accused of speeding in Co Donegal during the Donegal Rally weekend last month has failed to appear in court. Judge Paul Kelly has issued an arrest warrant at Letterkenny District Court for Jonathan Meehan, from Cornwell Fields, Derry. The 23-year-old is charged with dangerous driving at Dromore, Letterkenny, on June 16. Meehan is further of accused of driving at 173km/hr in a 100km/hr zone – 105 mph in a 60 mph zone. Judge Kelly ordered that Meehan forfeit Garda bail of €500. Meanwhile, a Co Derry man who was in a car which sped away from a Garda checkpoint was caught with drugs later, the same court heard. Cathal Deery, Millgrove Park, Eglinton, was a passenger in a speeding car which gardaí pursued outside Letterkenny after it failed to stop during the Donegal rally weekend. Inspector Goretti Sheridan told the court that gardaí were on patrol near Lurgybrack when a car sped past them. Gardaí pursued the vehicle and a short distance away the car stopped and two men were seen running off. Deery, who is 23, was later caught and attempted to fight with gardaí. He was caught with nine Ecstasy tablets. He apologised to the court for his behaviour. Deery was ordered to pay €200 to the Pieta House Donegal charity.